While using a junk service may be intimidating if you have never done it before, it can be a great way to earn some cash on a car that you are no longer using. Junk services will give you money for your car, as they then sell the parts to consumers looking to make repairs on their own cars. If you do not have a need for one of your cars any longer, or simply want to get some extra money that you will otherwise not have, selling your car to a junk car removal Portland service is the way to go. There are a number of reasons you would want to junk your car and sell it off. Some cars are too old and are showing their age. Parts are not working as well, or there may be so many problems that it isn’t worth repairing anymore. If your old car is just taking up space on your property with no signs of life, you should definitely sell it off to a junk car removal company. Not only will you get money for your old, beat up automobile, but most junk car removal services will also come out to your home and pick up the car, making it even easier for you. If you have an eyesore sitting on your lawn, there is no reason to not give a junk car removal service a call. If you have a car that is bleeding your money dry due to constant repairs, it may be better to cut your losses and go for something new. However, even the most troubled automobile has some parts that could be useful. If you sell your car to a junk service, you will be able to get some money and put it towards a new car that will give you less trouble overall. 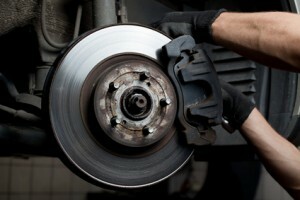 This can actually save you money in the long run, as a car that constantly needs repairs can cost you quite a bit. If you’ve had an accident and your car is damaged beyond repair, you can still scrap it and perhaps salvage a few parts out of it for selling. As was stated before, even the most troubled cars have a few parts worth saving, and cars that have been wrecked are no different. Even if your car wasn’t totaled, it may be worth it to junk the thing, as you may be dealing with repairs that will cost more than the car does. Weigh your options and go with what is best for you, but keep the junk car hauling company in mind if you no longer want to deal with repairing your car.